My main research focus is investigation of cellular and molecular mechanism involved in homeostasis of periodontal tissue in health and disease: regulation of inflammatory response in periodontitis; host interaction with bacteria and bacterial biofilms, dental stem cells and their role in tissue regeneration and immunomodulation; effect of titanium surface roughness on micron- and nanoscale on the cell response and osseointegration. In vitro cell culture of different human primary cells (e.g. monocytes, T-cells, endothelial cells, epithelial cells, dental stem cells, osteoblasts). A broad spectrum of biochemical, cell biological, and imaging techniques are used. Time lapse microsopy: observation and quantification of cell behaviour for prolonged time (up to 2 weeks). Özdemir, B. et al., 2014. Endocannabinoids and Inflammatory Response in Periodontal Ligament Cells R. Mohanraj, ed. PLoS ONE, 9(9), p.e107407. Available at: http://dx.doi.org/10.1371/journal.pone.0107407. 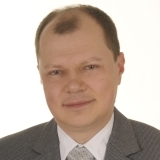 Andrukhov, O. et al., 2014. Both 25-Hydroxyvitamin-D3 and 1,25-Dihydroxyvitamin-D3 Reduces Inflammatory Response in Human Periodontal Ligament Cells M. Makishima, ed. PLoS ONE, 9(2), p.e90301. Available at: http://dx.doi.org/10.1371/journal.pone.0090301. Andrukhov, O. et al., 2013. Nitric oxide production, systemic inflammation and lipid metabolism in periodontitis patients: possible gender aspect. J Clin Periodontol, 40(10), pp.916-923. Available at: http://dx.doi.org/10.1111/jcpe.12145. Andrukhov, O. et al., 2011. Serum Cytokine Levels in Periodontitis Patients in Relation to the Bacterial Load. Journal of Periodontology, 82(6), pp.885-892. Available at: http://dx.doi.org/10.1902/jop.2010.100425. Sekot, G. et al., 2010. Potential of the Tannerella forsythia S-layer to Delay the Immune Response. Journal of Dental Research, 90(1), pp.109-114. Available at: http://dx.doi.org/10.1177/0022034510384622.